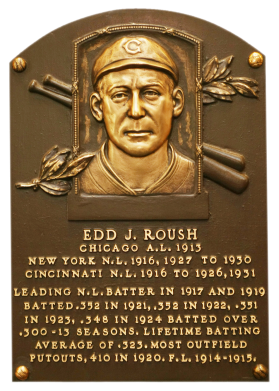 One of the greatest defensive outfielders, Roush swung his 48-ounce bat with enough authority to attain two NL batting titles and a .323 lifetime average. In his 10 years in Cincinnati, he never hit lower than .321. He had 1,099 career runs and 981 RBI. Roush habitually held out of spring training, returning only a week or so before opening day. 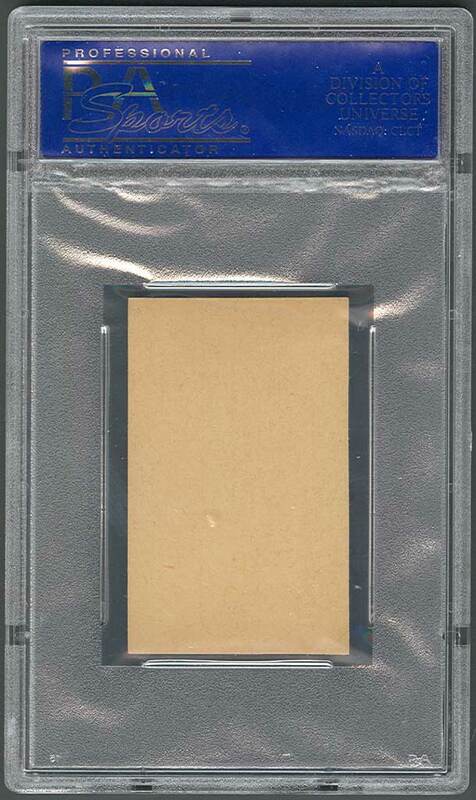 Comments: In December, 2002 I purchased an issue I had never heard of - a 1927 Honey Boy in a SGC 10 holder from Brian Wentz (BMW Sportscards) on eBay. The card had a punch hole in it. Kids could redeem the cards for bricks of ice cream and the vendor would "punch" the card to ensure no other prizes would be issued in exchange. 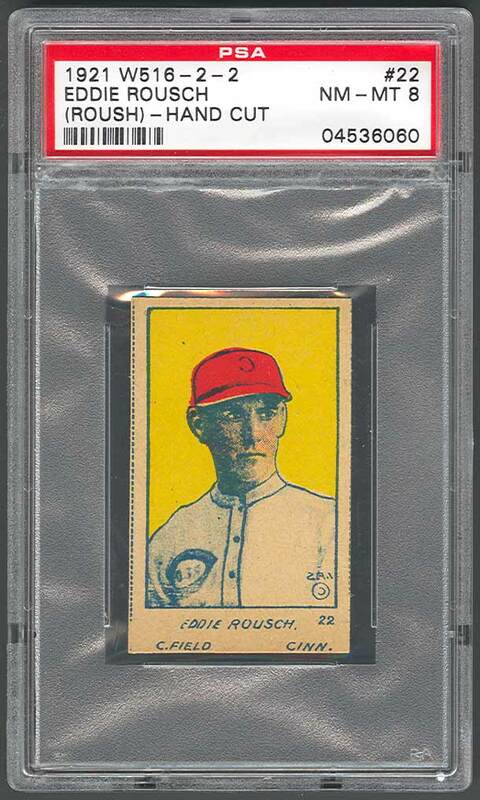 In May 2006, I upgraded to a SGC 30 with another eBay win from hobby friend Doug Dreier (dcdsports). This particular example hadn't been redeemed so it was a significant improvement not having a hole in the card. At some point I crossed the card over to a PSA 2. I acquired another Honey Boy, a PSA 5, of Harry Heilmann in September, 2006 so the Roush could be replaced. 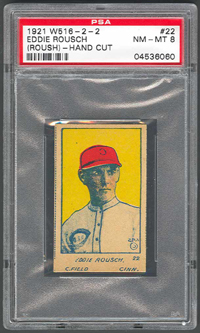 In November, 2006 in an effort to diversify the collection I went after a new type card and won an eBay auction for this PSA 8 1921 W516-2-2 card. Description: This set is essentially a re-issue of the W516-1 set of the previous year with one major change. The card numbers have been changed and the pictures have all been reversed. 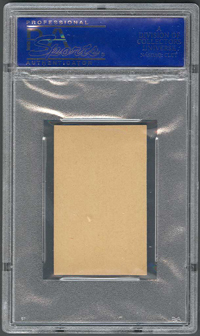 The blank-backed cards measure about 1-1/2" X 2-1/4" and feature color drawings with the player's name, position and team beneath the picture in hand-printed san-serif style, along with the card number (#1-20 on the left, #21-30 on the right). The cards display a backwards "IFC" copyright symbol.